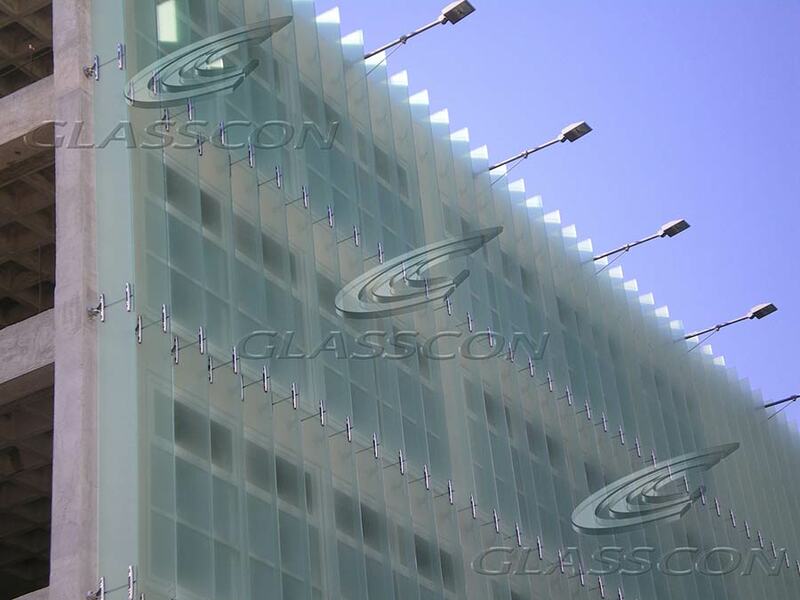 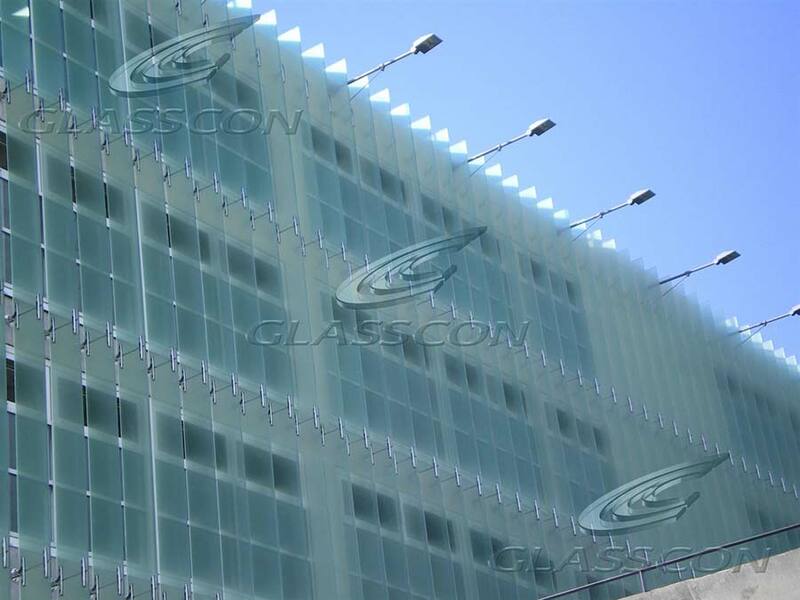 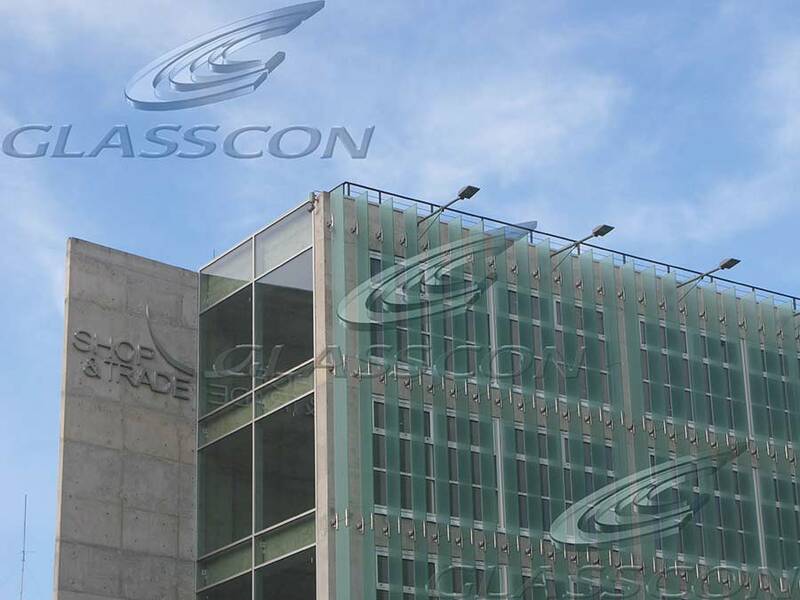 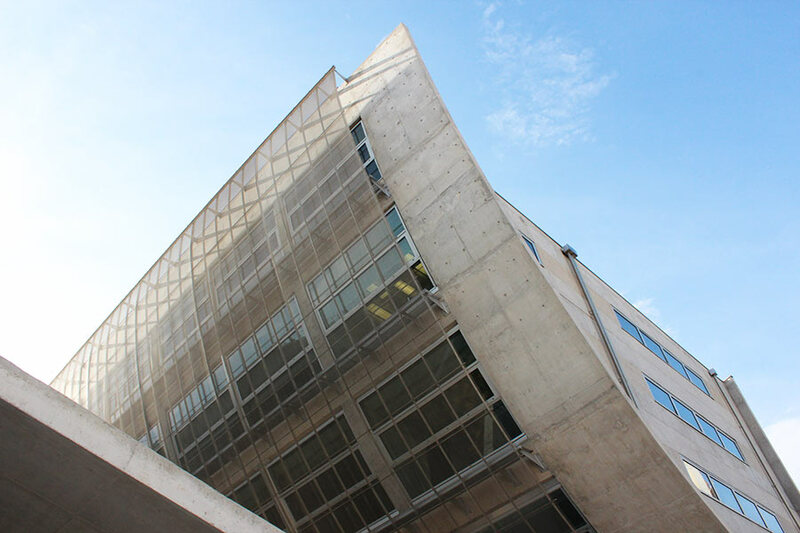 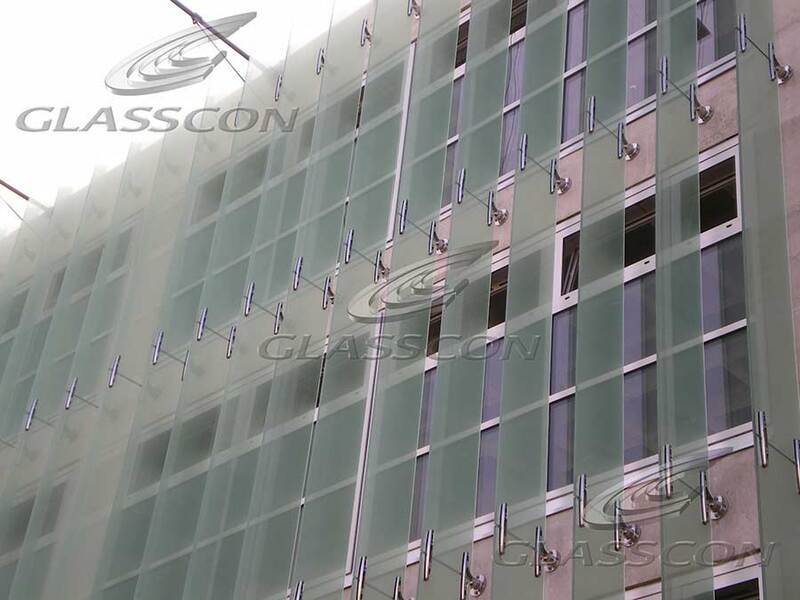 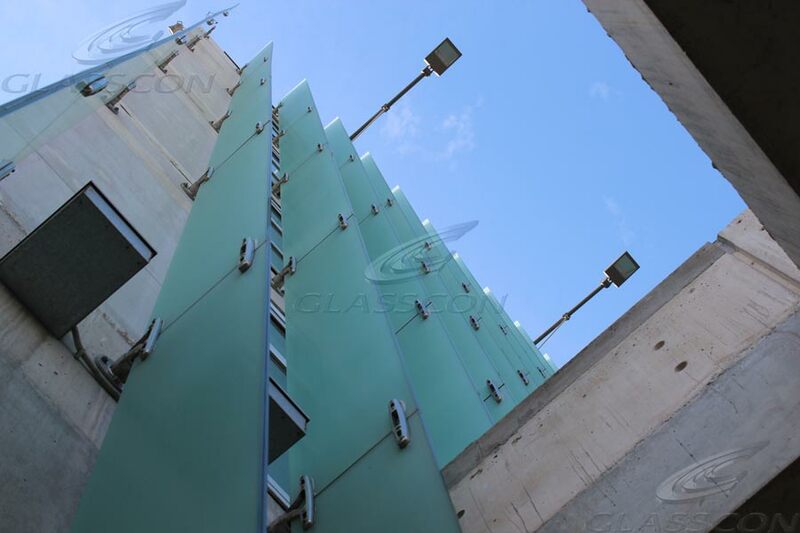 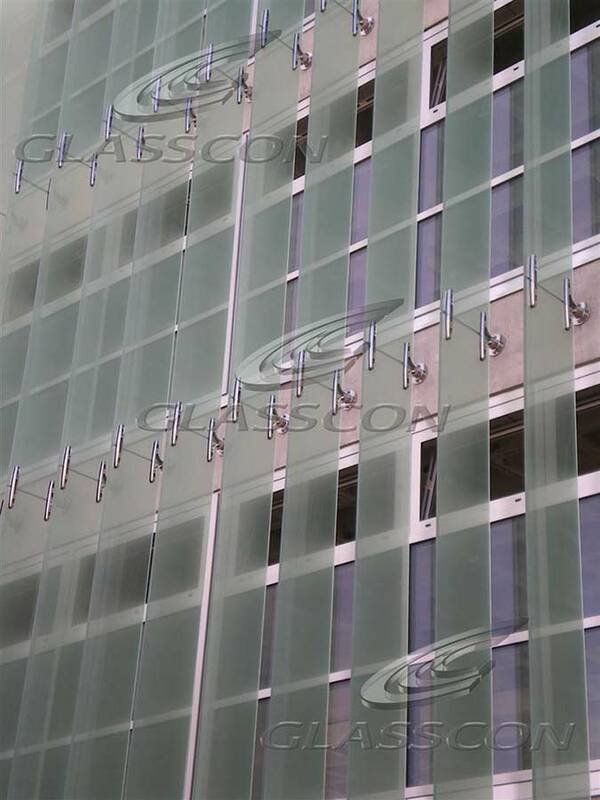 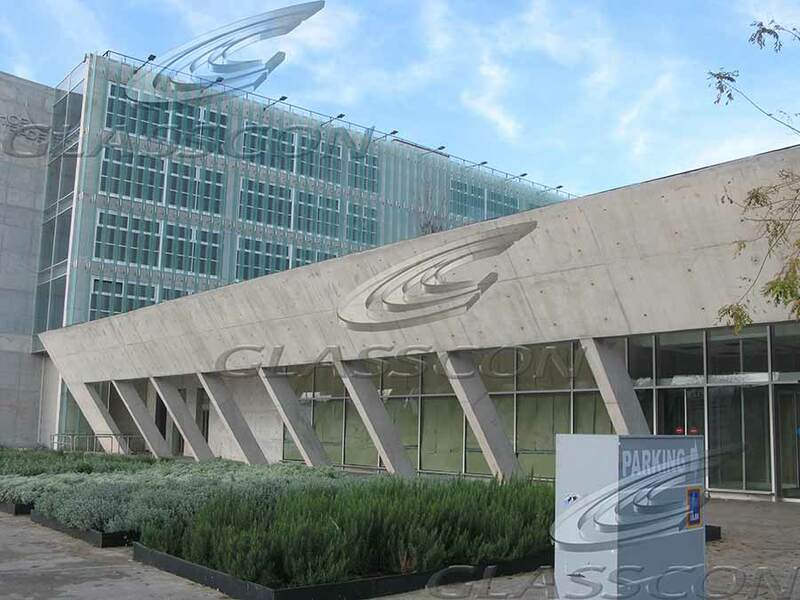 GLASSCON designed and constructed a system of architectural glass fins at the facades of the building for external shading. 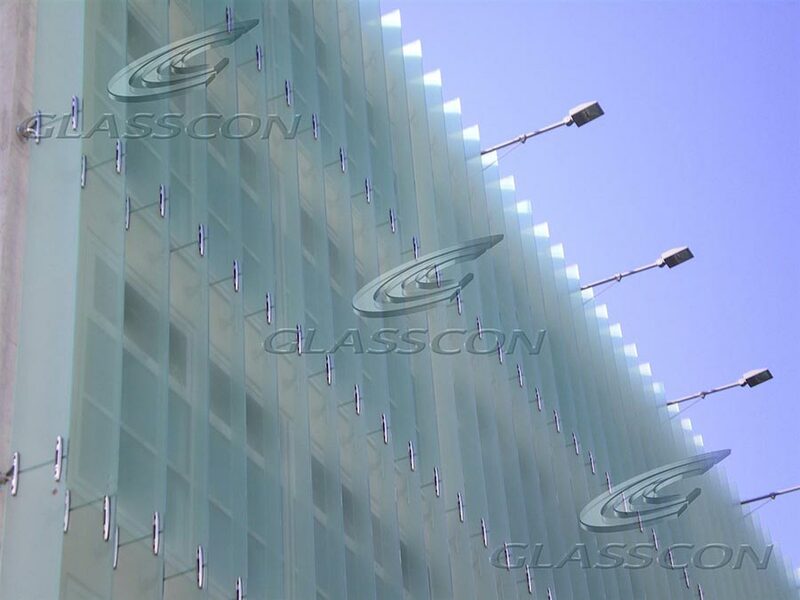 The glass fins carry a silkprinting design and are supported through special custom-made stainless steel fittings designed by GLASSCON. 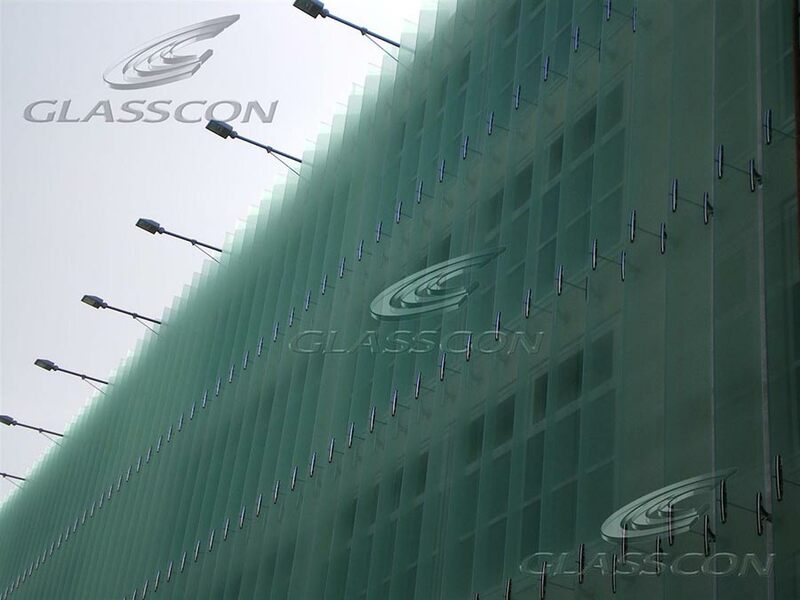 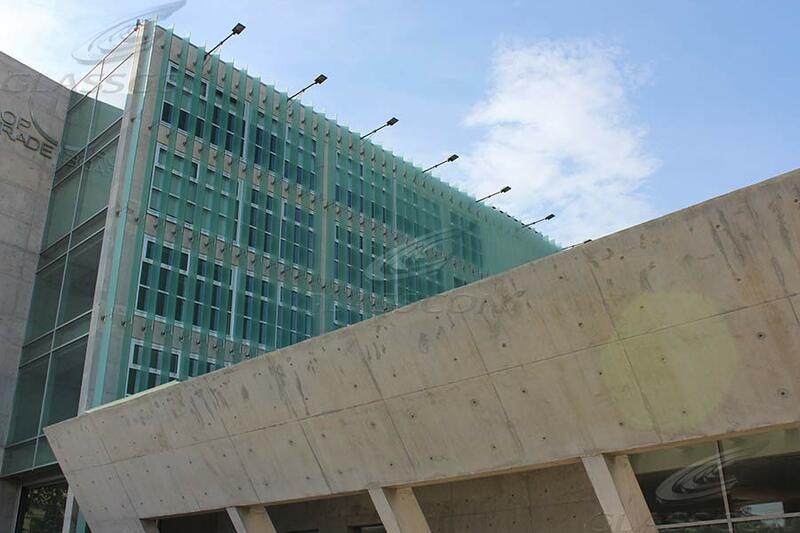 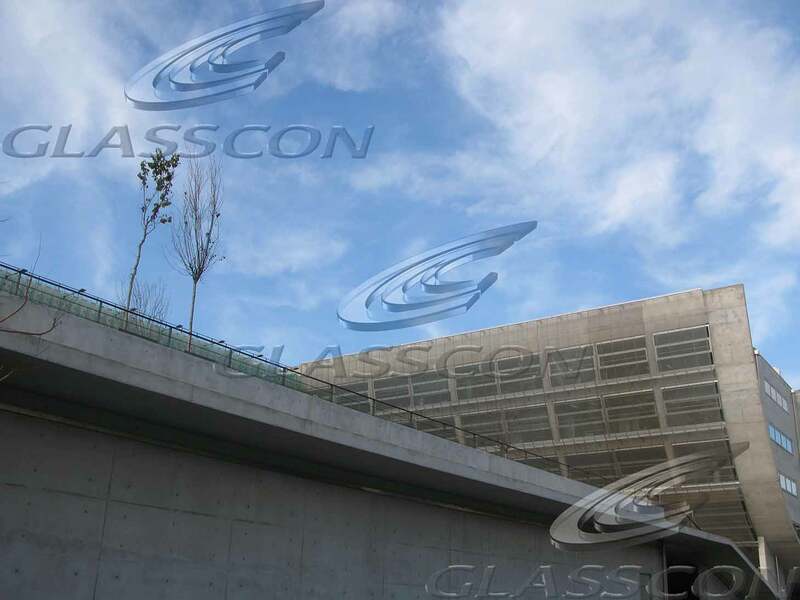 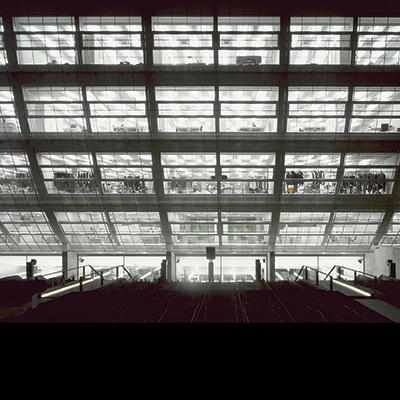 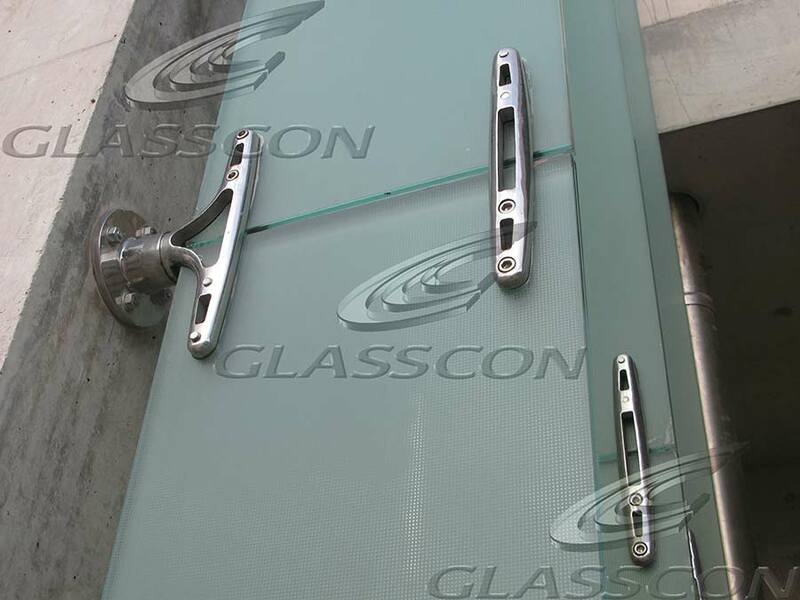 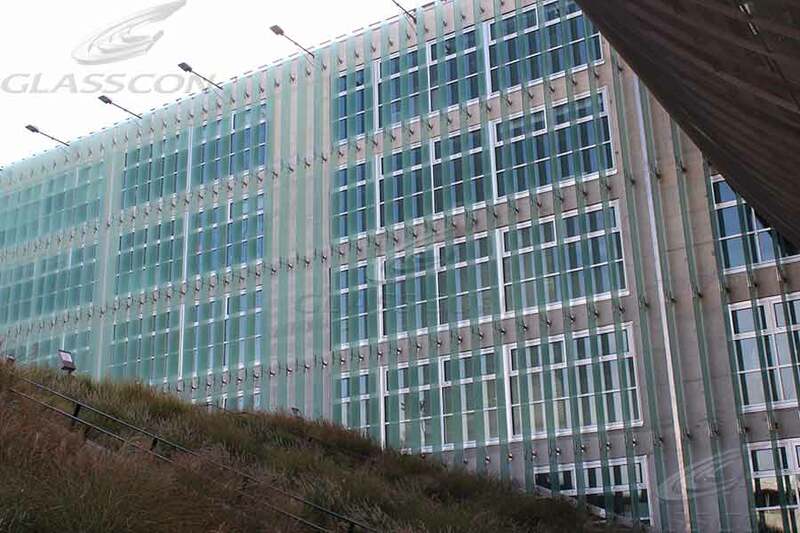 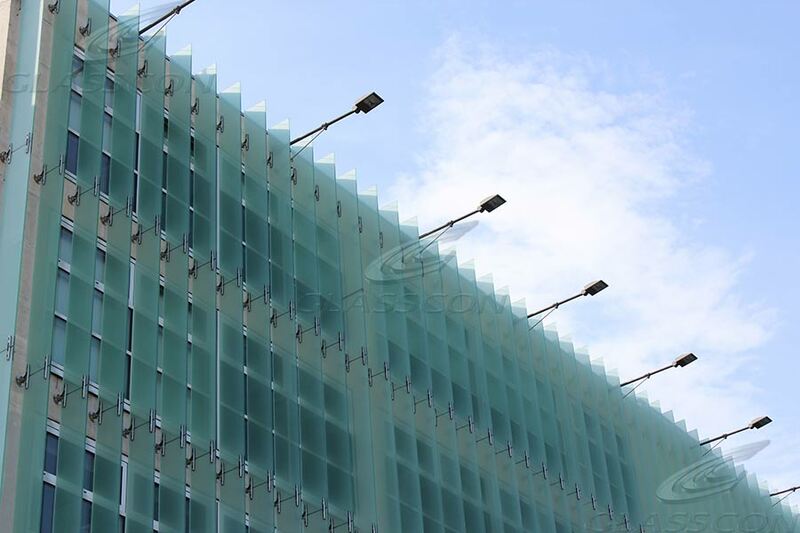 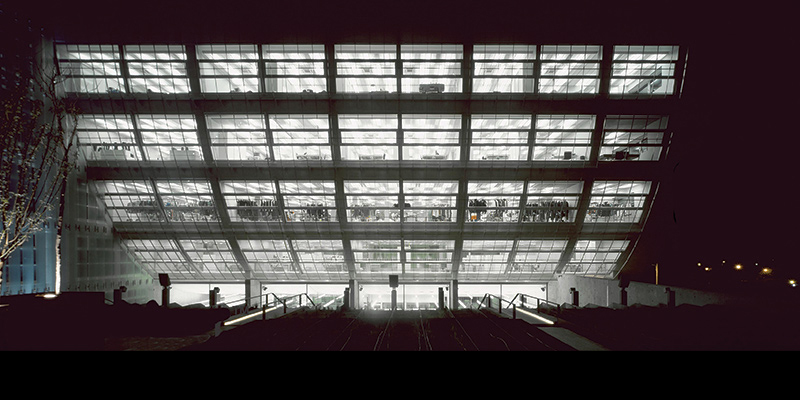 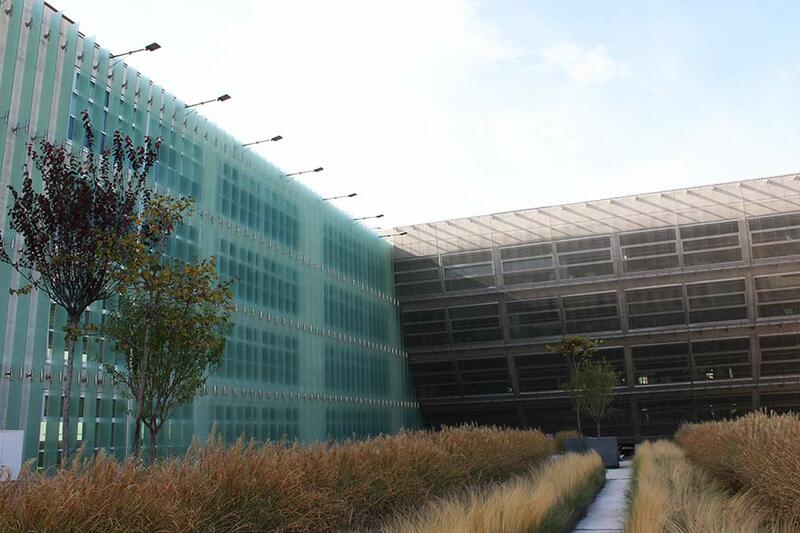 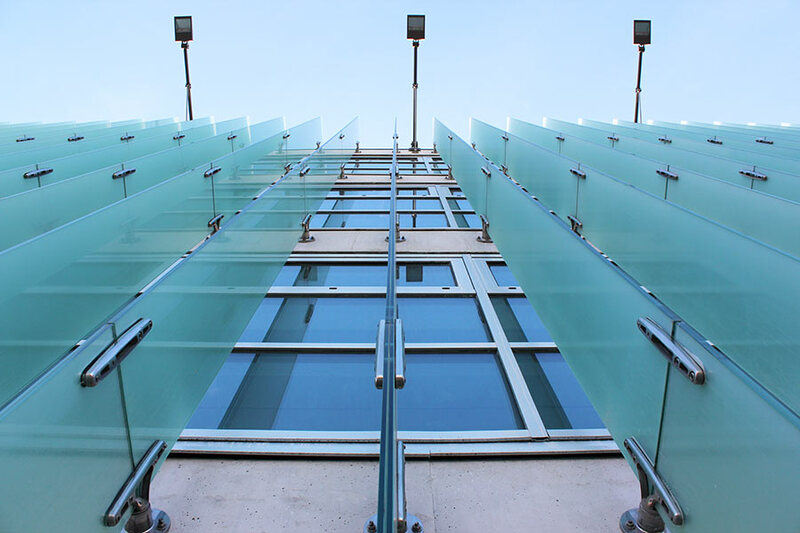 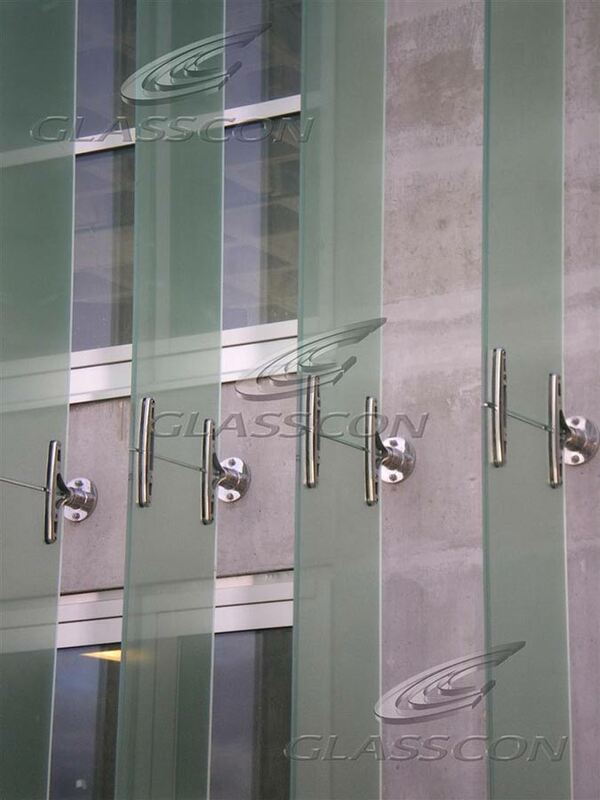 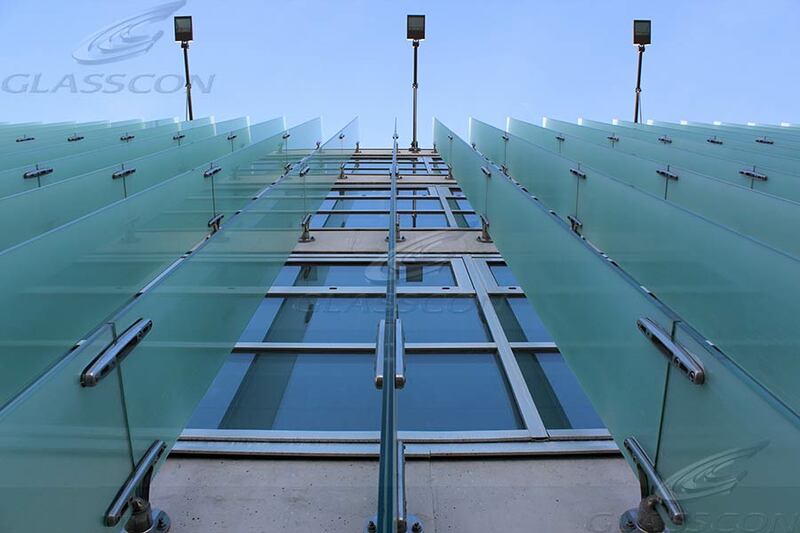 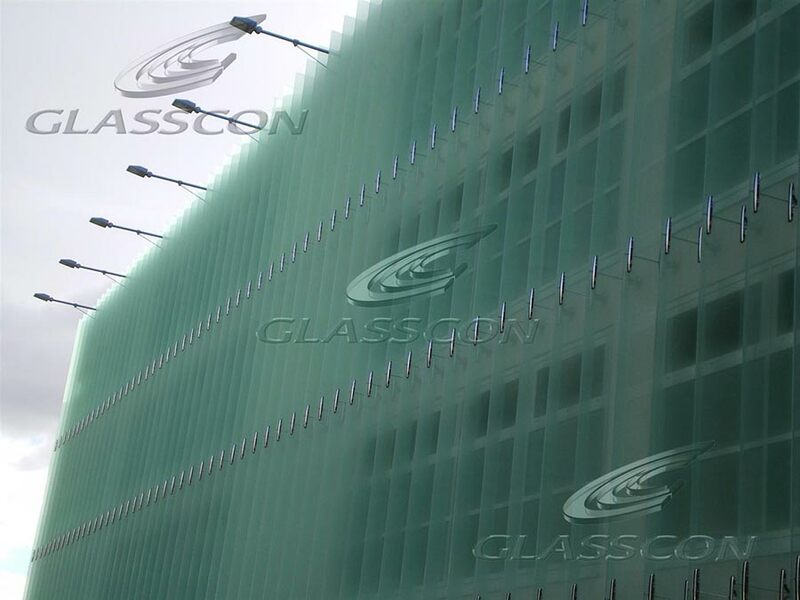 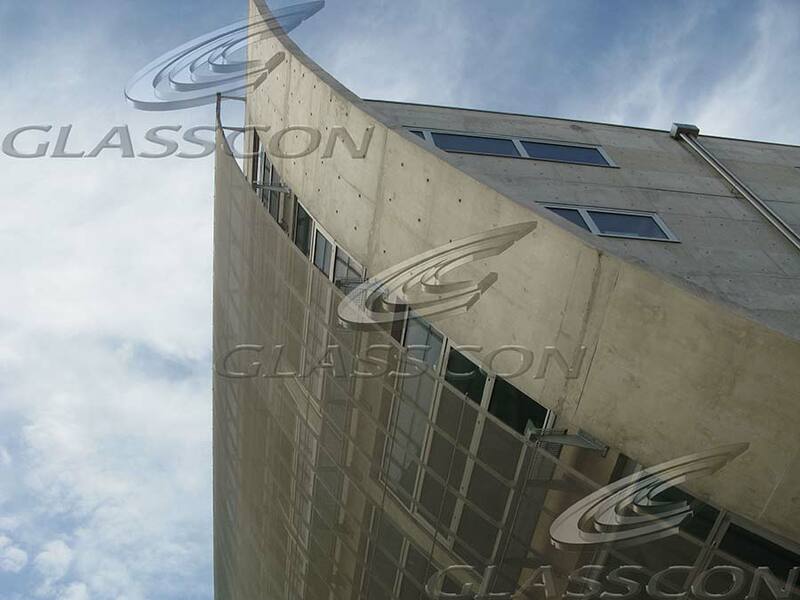 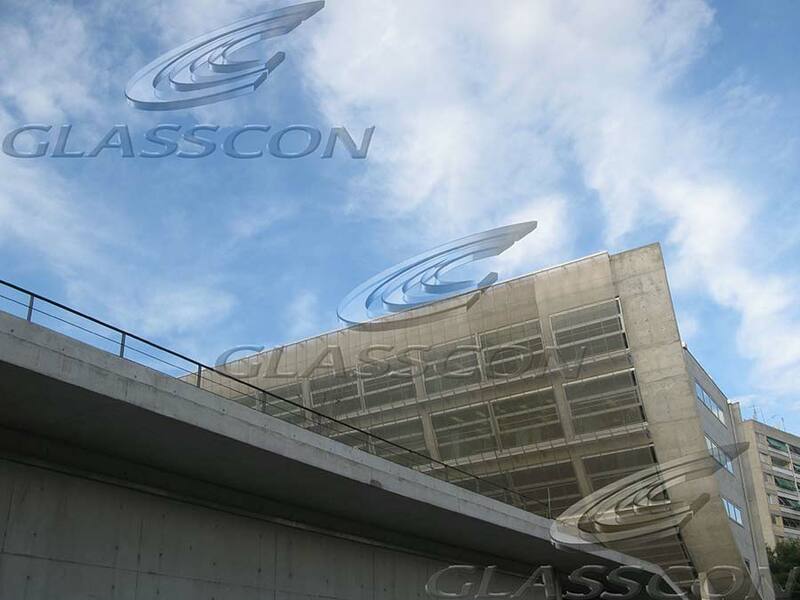 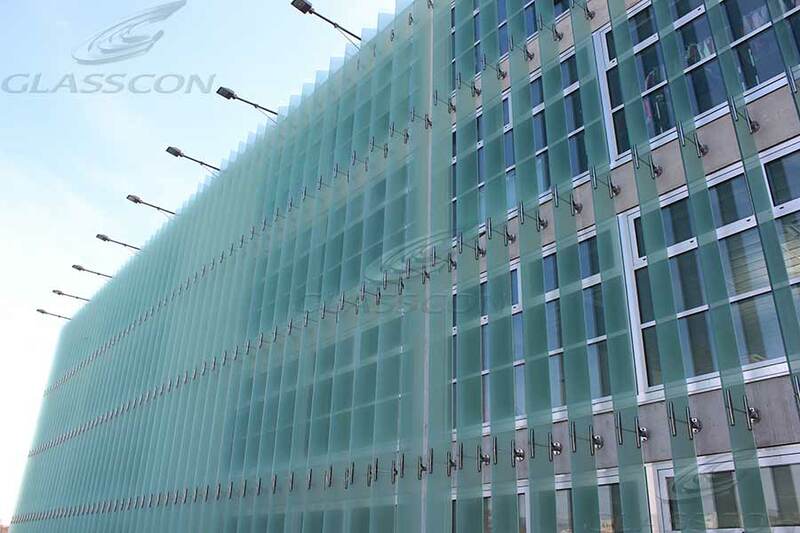 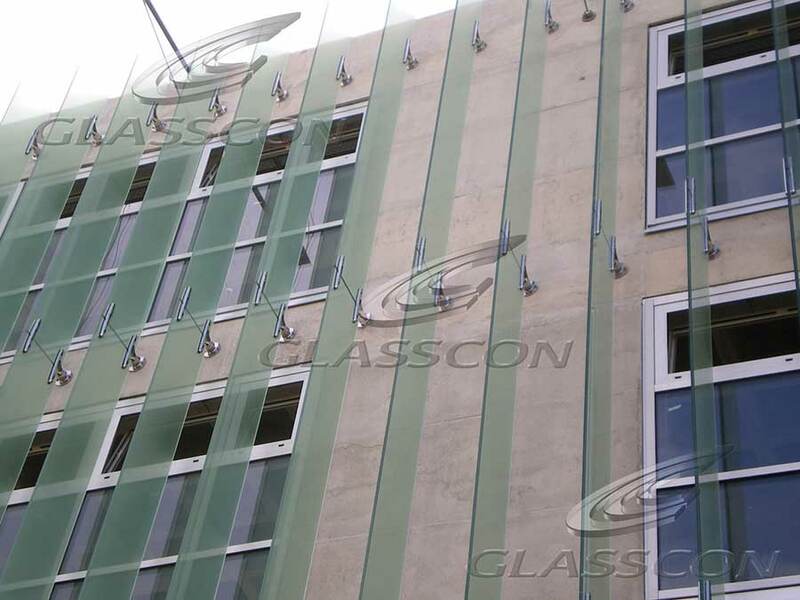 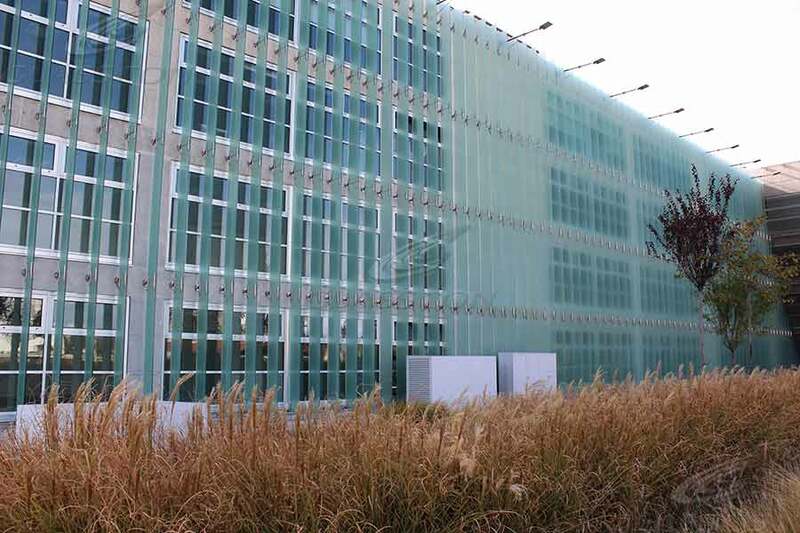 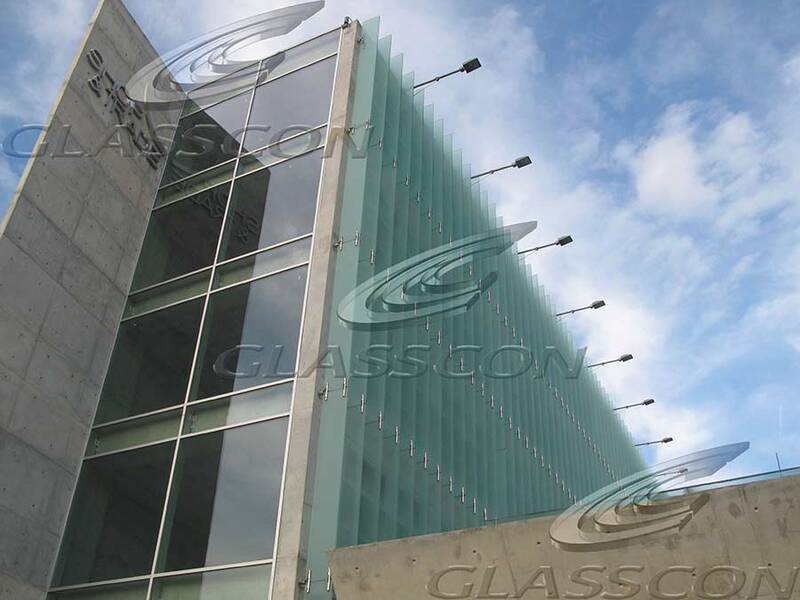 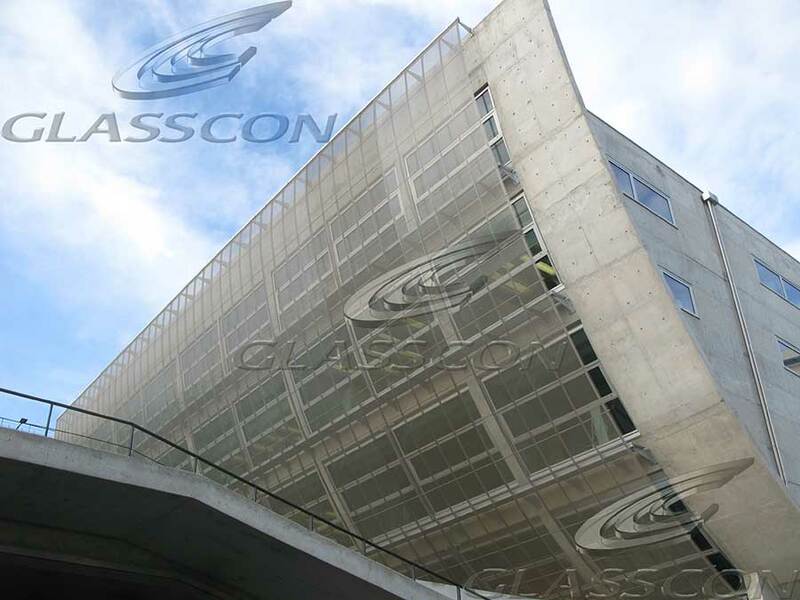 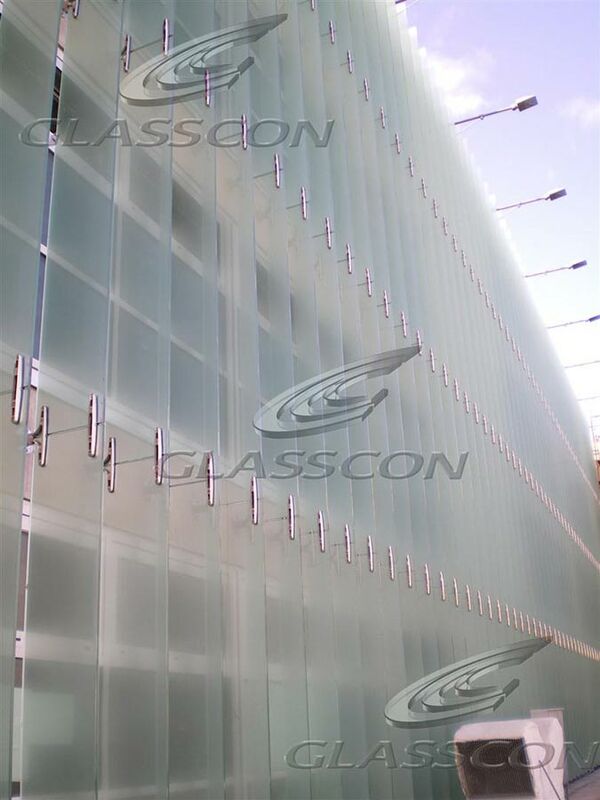 GLASSCON offers a wide range of architectural glass solar shades or glass sun blades that provide optimized daylight control and energy control. 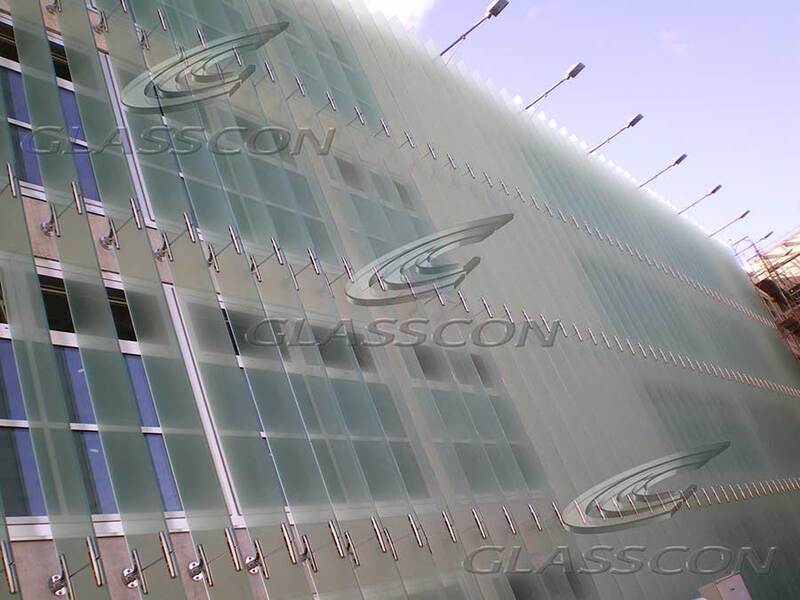 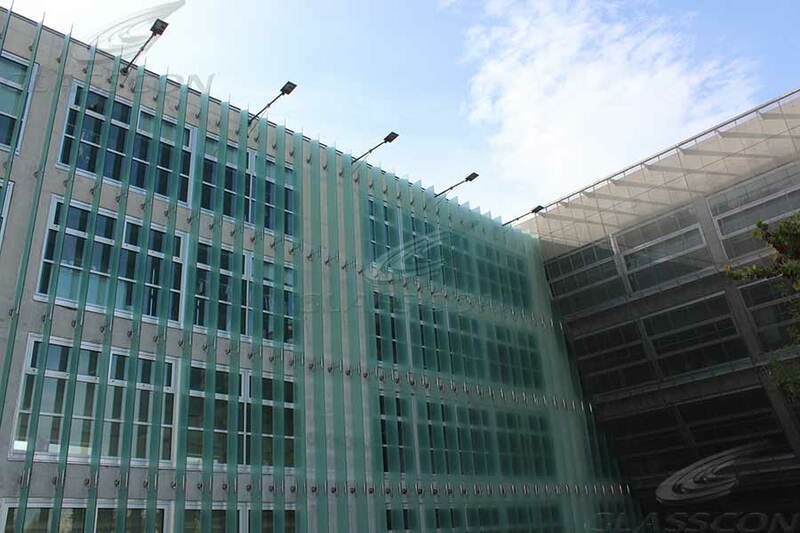 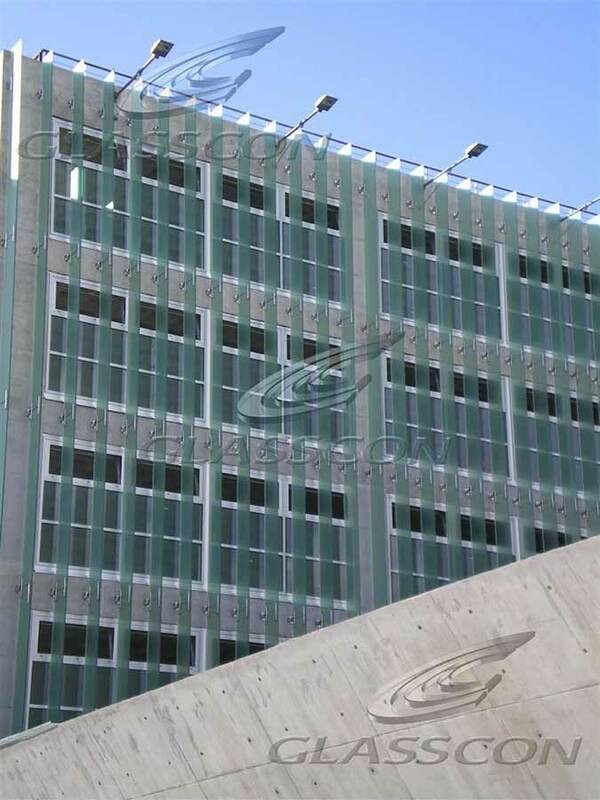 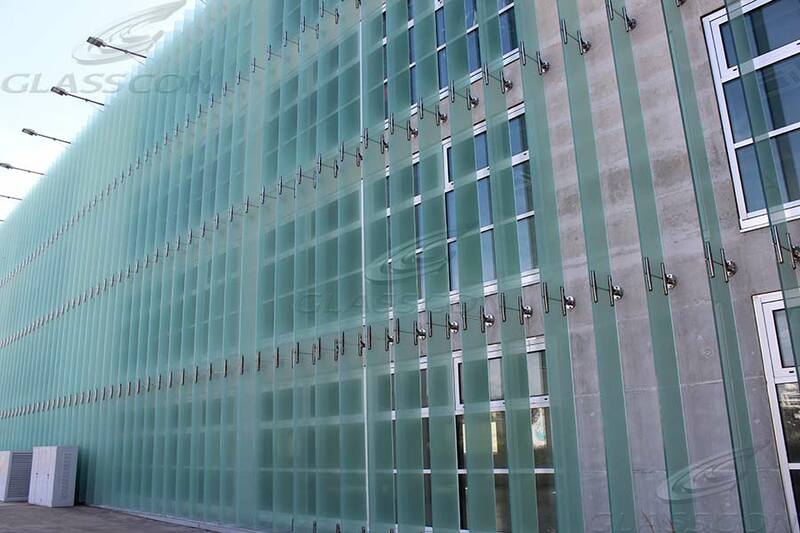 These fixed or motorized glazed shades or glass louver systems are made of tempered/laminated glass ( Heat sock tested) with digital printed or ceramic frit (enamelled colours and designs/prints), that ensure individual control of solar heat gain and daylight, while adding immense aesthetic appeal to a building's design. 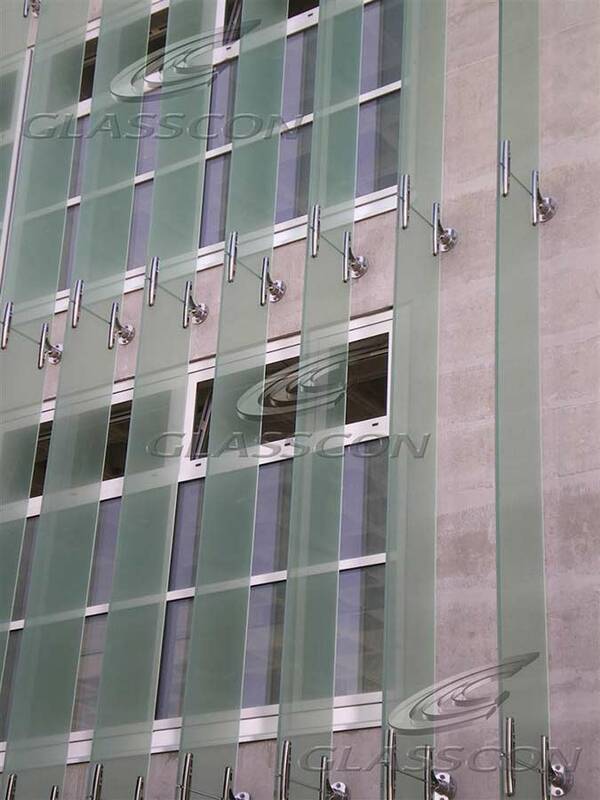 GLASSCON designed, constructed & installed vertical solar glass shades at the facades of the building for external shading. 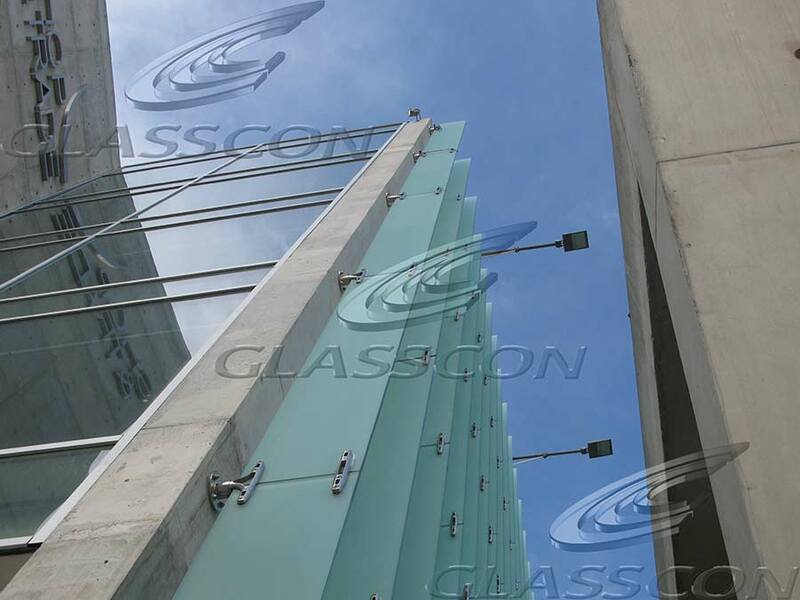 The solar glass shades-fins are made from fritted tempered glass & are supported through special custom-made stainless steel cast fittings designed by GLASSCON.